Being the Nutritionist at CP, a lot of clients like to give me recipes to try, which is a nice perk. Or they make the recipe for me, which is an even nicer perk! Anyway, one CP client just gave me a recipe for a soup that sounds delicious (thanks Lisa). Now I will say that I have not yet tried the soup, I plan on making it very soon, but I do trust Lisa’s judgement. She also gave me a wheatberry salad recipe that is to die for, and at some point I will post that up as well. I just thought that given the cold rainy weather we have had for the past few days up here in New England, that a nice warm soup would really hit the spot! A few weeks ago Mike Boyle posted a blog and sent out an email about a question he had received regarding summer strength and conditioning for 9 year olds. I liked his response so much that I asked, and he has graciously granted me, permission to repost it below. Mike is one of my favorite people, and one of the brightest minds, in the strength and conditioning world. He is a voice of reason when so many people who work with kids are in it for the money. Please take a moment and check it out. 1. A sweet problem: Princeton researchers find that high-fructose corn syrup prompts considerably more weight gain. I have usually held the view that HFCS and table sugar are pretty much the same thing. Even though one is man-made and one is nature-made, chemically speaking the are almost identical and research has shown that they are metabolized pretty much identically. Lately though, I have been coming around on this one, because there is increasing research, like in the article above that shows abnormal weight gain, visceral fat, and triglyceride problems with HFCS compared to sugar, even in calorically equal situations. Definitely interesting. 2. Girls Lift Weights Because They Can. Weird, I Know – by Tony Gentilcore. Tony demonstrates why it is ok for women to actually lift some weight. You don’t have to be a super athlete or figure competitor to train hard, sometimes you can just be training for you. 3. Why I Am Not A Vegetarian: The China Study – by Jonny Bowden. This wonderful blog post piggy-backs some of my recent discussion about The China Study, and why T. Colin Campbell just takes it too far. Dr. Bowden covers his opinion in great detail, and really gives a touching read on why he does eat animals. I really can’t stress this one point enough. It is my number one rule, and it covers the vast majority of your nutrition needs and questions. If you just focus on foods that have been eaten for thousands of years, foods that we have become accustomed to eating, foods that you could hunt, fish, pluck, grow or ferment then eat it. This will provide you with a boatload of nutrient dense foods; tons of vitamins, minerals, amino acids, phytonutrients, antioxidants, essential fats and more to create vibrant long-term health. 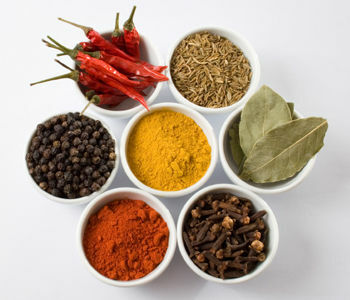 Now more than ever I have been adding more spices and herbs to my food, it has been awesome! Too often people believe that eating healthy equals eating boring, and this could not be further from the truth. Adding simple spices like Real Sea Salt, oregano, turmeric, cinnamon, thyme, rosemary, basil, Montreal Chicken Seasoning, Montreal Steak Seasoning (the list could go on forever) will really make your food pop! For some great recipes, check out Gourmet Nutrition and Body By Eats. 3. Prepare Your Own Food. Many people are reliant on food provided by work, or the building cafeteria, or eating out every day. This can be detrimental to your health and body composition goals. Without preparing your own food how can you be sure of the quality of the food, let alone everything it was cooked with? Making your own meals, or most of them at least, allows you to determine exactly what and how much you are eating. You are in control of your own intake. This may seem daunting, but if you learn to make meals in bulk, like My Wife’s Chili recipe, and maybe bring a smoothie or two to work, that covers a good majority of your eating with little daily effort. Now get cooking! Put those three tips to use and you will find yourself feeling better, looking better and enjoying food more than ever! This question was posed about my China Study Fallacy blog post. Q. It’s true correlation doesn’t equal causation. however aren’t all of the POSSIBLE CONFOUNDING factors you mention already accounted for in the study because it was all done in china? you mention the dichtomy in groups of people who ate animal protein and did not was rural verse urban, it’s been a few years since i read the book, but i don’t believe that was the csae. this survey type study was done before china was westernized so the big idea of the study is that all of the factors you mentioned will largely hold steady over populations, these were all still traditional diets, all the same types of populations and habits, all in china, and the main difference is intake in animal protein. i agree the china study isn’t rigorous proof of anything, but really is it fair, or helpful to expect that? i don’t know what conclusion to draw but i don’t think you are justified in dismissing the china study so easily. A. Here is the problem. I dismiss the China Study so easily because Dr. Campbell, while he is a highly published researcher, has become a zealot against protein. Not because there is real, actual evidence, but because it was his hypothesis and he will do what it takes to make the data fit his hypothesis. I compare it to Ancel Keys and the Seven (or Six) Country Study. The data of all 22 countries that were available did not fit his hypothesis, so he chose the 7 countries where the data did fit. Campbell chooses to ignore data from all over the world perfectly refuting his “data”. Like I mentioned in the post, there are civilizations all over the world who have eaten an inordinate amount of animal protein and yet have little to no incidence of degenerative diseases. Again I refer you to the Masai and the Inuit. While they could probably use more vegetables in their diet, they are not dying are enormous rates of heart disease from all their animal protein. These diseases only became truly apparent when traditional diets were abandoned for a more Western diet. This has been observed all over the world. Look at the research on the Tokelau Islanders. When sugar, refined flour and the like replaced foods that had been eaten for thousands of years only then did modern degenerative diseases enter the population. The human species in one form or another has been eating animal protein for over 2 million years. As many, and I mean many, other people have noted about The China Study, Dr. Campbell simply makes leaps of logic that do not follow. Campbell points to research showing that high intakes of straight casein caused cancer in rats. What he doesn’t point out is the research that shows that high intakes of whey protein (the other protein in dairy) greatly reduced incidence of tumor formation. Since whey and casein come packaged together, I don’t know if it makes perfectly logical sense to just state that all animal protein is deadly. I guess since the actual health benefits, and potential for whey to decrease cancer incidence (which requires more research) does not fit his hypothesis, it is not worth mentioning. The point is that taking some direct research on huge intakes of casein, which do not reflect real-world intake not only due to amount but also since casein usually comes packaged with whey, and large scale observational research in one country and trying to extrapolate that data into a one-size-fits-all recommendation for all people is ridiculous. The cause of cancer and degenerative diseases is multi-factorial and attempting to lay the blame solely on animal protein takes the focus off the real problems. Just like trying to blame heart disease solely on cholesterol (and saturated fat) has not actually decreased incidence of heart disease, it has just taken focus off the real potential causes of the disease. I won’t even get into the fact that he states that people should take vitamin B-12 supplements because his all-vegetable diet unfortunately does not contain any! Plants simply do not contain B-12 unless you make sauerkraut or natto. If the human species is meant to live on plants alone, how exactly did we survive all this time without some B-12 supplements kicking around? Just some food for thought. The major problem with the book is that it does not even stay true to the study on which it was based. When looking at the actual data provided by the study, intakes of animal protein, fish protein, meat intake, saturated fat and fat calories were negatively associated overall mortality! Meaning they decreased mortality risk! Though to be fair it was not statistically significant, it certainly did not raise risk. Eggs statistically decreased risk of overall mortality by 43%! Total protein intake had a 29% negative association with all-cause mortality. More food for thought I guess. After yesterday’s monster post, I will give all you guys with short attention spans some love. CP client and fitness enthusiast (to say the least) Danny Verna has come up with an incredible cookie recipe that I thought I would share with you guys. These cookies are not for the faint of heart, but can be modified in many ways to suit your needs/food availability. Directions: Preheat over to 350. Mix all ingredients together in small bowl. Prepare as bars or cookies and bake as directed.The cookie dough will be thick but still sticky. Drop dough by portion size desired onto a cookie sheet sprayed with extra virgin olive oil from Misto sprayer. If desired sprinkle Truvia/Stevia/Sun Crystals on top of cookies. Bake 8-10 minutes. Although the dough is dark, you will be able to see a slight brown edge when they are cooked. You can eat them warm or cooled. Makes 6 Large or 12 Small servings. On a related note, if you want some high-quality pre-made cookies (albeit low protein) then definitely check out Kashi TLC Oatmeal Dark Chocolate Cookies. Maybe not the world’s greatest food, but for a cookie you could do a lot worse. Enjoy! The China Study seems to be referenced just about everyday lately by a fitness or nutrition professional. Usually these people are telling you to avoid animal products all together, that being vegetarian is the healthiest way to eat to avoid degenerative diseases and that animal protein will straight up kill you. The China Study is a 2005 book by T. Colin Campbell, Ph.D., and his son, Thomas M. Campbell II. Dr. Campbell is a professor of Nutritional Biochemistry at Cornell University and one of the directors of the China Project. The book examines the relationship between the consumption of animal products and illnesses such as cancers of the breast, prostate, and large bowel, diabetes, coronary heart disease, obesity, autoimmune disease, osteoporosis, degenerative brain disease, and macular degeneration. “The China Study,” referred to in the title is the China Project, a “survey of death rates for twelve different kinds of cancer for more than 2,400 counties and 880 million (96%) of their citizens” conducted jointly by Cornell University, Oxford University, and the Chinese Academy of Preventive Medicine over the course of twenty years. The authors introduce and explain the conclusions of scientific studies, which have correlated animal-based diets with disease. The authors conclude that diets high in animal protein (including casein in cow’s milk) are strongly linked to diseases such as heart disease, cancer, and Type 2 diabetes. The authors recommend that people eat a whole food, plant-based diet and avoid consuming beef, poultry, and milk as a means to minimize and/or reverse the development of chronic disease. The authors also recommend that people take in adequate amounts of sunshine in order to maintain sufficient levels of Vitamin D and consider taking dietary supplements of vitamin B12. The authors criticize “low carb” diets (such as the Atkins diet), which include restrictions on the percentage of calories derived from complex carbohydrates. You might notice some key words in that paragraph, like correlated. Correlation does not equal causation. This is an incredibly important quote to understand. As has been pointed out before by others, there has been correlational research that shows that people who shave the least are the most likely to get heart disease. So does this mean that lack of shaving causes heart disease? No it merely means that people who do not shave maybe care less about their appearance, and maybe about their health or a whole host of their variables, the actual lack of shaving is not the cause of heart disease. In this China Study there was some work done on rats in which they fed them 20% of their calories from casein (the major protein in dairy). This caused an increased mortality rate, and an increase in degenerative diseases. This is concerning, no question, and one reason why I only recommend whey protein powder to clients, I cover more of this particular topic HERE. But who actually takes in 20% of their calories from casein, do you know how much dairy that is? Lets say you take in 2,000 calories per day, 20% of that is 400 calories, or 100 grams of casein! Since milk protein is about 80% casein, and their is 1 gram of protein per ounce of milk, so about .8 grams of casein per ounce of milk. That would require 125 ounces of milk to get 100 grams of casein! That is almost 16 cups! Sure some of that casein can come from cheese, yogurt and protein powder, regardless that would take an inordinate amount of milk. The point I am making is that maybe too much casein can be problematic, but lets not get ahead of ourselves. No one I know is recommending or consuming 16 glasses of milk per day! That same study showed that when rats were fed 5% of their calories from casein, they were free of disease and had longer life expectancies. That gives us 25 grams of casein per day, which is like 4 cups of milk per day. That seems reasonable. For more info on milk consumption and recommendations, read THIS. This is complete and utter crap. Just stop and think critically about those statements for a minute. Think of everything you have seen me blog recently about cholesterol and its minimal role in health problems. That saturated fat and cholesterol raise blood cholesterol significantly? I think not. Maybe in rabbits, but they are vegetarians! Claiming that animal protein is the single greatest cause of increased cholesterol is just plain false. Find me some peer-reviewed double-blind placebo controlled studies repeatedly showing that, then you maybe have something to hang your hat on, otherwise that is ridiculous. Using the word association again means very little. Correlation does not equal causation. There could be a million other variables in play here. These rural Chinese also most likely eat less sugar, less refined flour, less trans-fats, less McDonald’s, are more active, get more sleep, get more sunshine, have stronger community relationships, want me to keep going? Just looking at simple associations tells us little to nothing! It is not indicative of cause! The human species has been consuming animal protein throughout its existence. The Inuit have been living on a mainly meat-based diet for thousands of years and yet they are free of modern degenerative diseases, consuming little to no vegetable foods. The Masai of Kenya live mainly on their cattle, the meat, blood and milk. That is the great bulk of their food intake, and yet they too are free of modern degenerative diseases. In his masterpiece, Nutrition and Physical Degeneration, Weston Price travels the world looking at isolated populations eating their indigenous diets. In every case when people were eating real food, including plenty of animal protein, these people were incredibly healthy, only when they replaced these foods with refined flour and sugar did the signs of degenerative diseases manifest. He saw dairy-based diets where people were long-lived and sturdy (maybe because their cows ate grass, got sunshine and exercise, were only milked at certain times of the year, and the milk was not skimmed nor pasteurized, just a thought), meat-based diets, vegetable based diets, real food, and all these people were healthy. They were all in good physical condition, free of dental caries, resistant to tuberculosis, and free of heart disease, cancer, diabetes and other diseases of civilization. That is until they were exposed to unrefined flour and sugar, and then the story changed. The China Study may have some relevance, and it might make some good points, but telling people that dropping animal foods altogether is the healthiest course of action is a fallacy. Animal foods are high in fat soluble vitamins, are the only available food source of vitamin D, and are a great source of vitamin B12 that the plant-based foods lack. It has been shown throughout history and evolution that humans have eaten plenty of animal products without harm.The difference is these animals were from an unpolluted world, free from synthetic hormones, antibiotics, corn-based diets, antibiotic-resistant bacteria, etc. Maybe that is the problem, and not animal protein itself, since we have been consuming it in fair amounts for hundreds of thousands of years. Don’t throw the baby out with the bath water. Don’t take one thing and make it another, extrapolating it to apply generally across the board. That is crappy science that does nothing to advance the field of nutrition, and in fact only holds us back from discovering real information. While I am certainly not suggesting that anyone eat a meat-only diet, dropping animal products down to 0% is not warranted either. Eat real food. Eat a nice blend of grass-fed or pastured animals, lots of veggies, some fruits, a few high quality grains and plenty of healthy fats and you will be incredibly healthy. Upon my return from vacation I have been trying like hell to catch up on all of the reading I missed, and it has not been easy! Here are a few pieces I have come across this week that I thought were really solid, and thought you guys might enjoy them as well. 1. Busting Belly Bugs with Bacteria – by Precision Nutrition. This article is all about one of the few supplements that I recommend, probiotics. Helen Kollias goes over some relevant research showing the effectiveness and benefits of these little bacteria, and what they can do for you, so check it out. 2. Vitamin D May Prevent Flu & Asthma – by Stephan Guyenet. Another gem from Stephan on wholehealthsource.blogpspot.com. In this one Stephan reviews a newly published trial, analyzing the data, methods, strengths and weaknesses, and discusses the importance of the research. As I mentioned yesterday I am a huge believer in the need for healthy vitamin D status, and this paper shows some of the reasons why, check it out. 3. CassandraForstythe.com. This is my good friend and brilliant dietitian (yeah, she has the fancy letters after her name) Cass, and this is her new site. She is the author of Women’s Health Perfect Body Diet and The New Rules of Lifting for Women, so take a quick peek and check it out! 4. Quinoa 2.0 – by Me. This is one of my favorite posts, as I wrote about my favorite flour, buckwheat. Buckwheat is not actually wheat at all, is gluten free, is a complete protein, has cholesterol lowering properties, has minimal impact on blood sugar and tastes awesome. Give it a read. Have a good weekend everybody, and find yourself some pastured eggs! First off I want to say that I am happy to be back. My wife and I returned late Saturday night from a relaxing week long vacation in Florida. Although the weather was not as warm as we would have liked, it was still sunny and, most importantly, stress-free. Anywho, I wanted to bring a little attention to something that Tony Gentilcore briefly touched upon a few days ago. As he mentioned we usually have a “Poll of the Day” on the door exiting the facility for people to vote on before they leave. Invariably these poll questions have gotten more ridiculous as time as gone on, mainly due to our pro baseball guys. Below was a recent question put up before I left for Florida. I just want to point out, mainly because it will drive Eric crazy, that I demolished the field, and I am pretty sure I ended up with a few more votes after Tony took this picture. Sorry EC. To be fair Tony actually had a couple of votes before the CP Olympic champion decided that Tony is a giant teddy bear and would end up broken. I mean he did play football…for a day. Sorry Tony. Ok, on to some actual nutrition content. For quite a while last year I would enjoy the awesomeness that is buffalo (or bison, whatever you prefer) just about every week. For some reason I fell off that habit, even though I had enjoyed it immensely. Well upon my return, I promptly decided to resurrect that delicious habit. So on Sunday I made the greatest Buffalo Burger the world has ever known. It was a breathtaking taste explosion. Directions: Sprinkle on as much of the seasonings as desired, I use quite a bit, and roll them into the patty. Place patty on George Foreman or any grill of choice. I highly recommend only cooking buffalo burgers to about medium, going beyond that can really dry out the meat and destroy the flavor. While the burger is cooking toast the English muffin (like all sprouted-grain products) and then spread some of the home-made mayo on both sides. Next add the ketchup or salsa, the mustard and the guacamole as evenly as possible. Last, add the spinach. Toss the cooked burger in and savor the awesomeness. I recommend enjoying the burger with a side of baby carrots and hummus. This meal provides some very high quality protein, some high quality carbs and fiber, some saturated and monounsaturated fats, and some vegetables all in a delicious package. Give it a shot and let me know what you think.